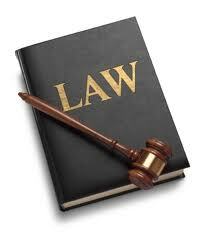 Solicitors Dublin assist many US attorneys and litigants who need to have service of legal documents effected on defendants in Ireland. 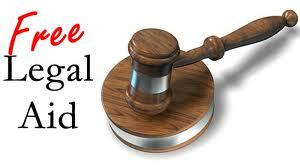 The best and safest way to be sure of good service is to have an Irish solicitor serve the defendant in person. only the last option above offers sufficient protection in our experience. As there is no bilateral agreement between the US and Ireland in respect of recognition in Ireland of judgments obtained in the US our experience has been that the Courts in both the US and Ireland may reject service if challenged by the defendant. 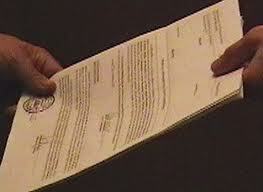 The option of sending your judicial papers together with the Hague Convention Request for Service form is, in theory, a better approach the reality of the situation on the ground is that there are only a limited number of people in Central Office and suitable people around the country to deal with your request. if the defendant proves elusive the papers may be returned unserved. familiarity with the procedure and the requirements of Central Office. Solicitors Dublin can offer a fixed fee service so you know what your costs will be at the outset and you can be sure of a professional service. the legal papers to be served. We then check over the papers and see that they are in order and let you know if anything needs to be amended. We will bring the papers and request form to the Central Office of the High Court who will then check that the papers are in order. Assuming that they are in order either the Master or Deputy Master of the High Court that service is to be effected by the principal solicitor of Solicitors Dublin or their agent for that purpose. We will then appoint an agent to serve the defendant in person or effect service ourselves. Once service is effected we prepare an Affidavit of Service and have this sworn and returned to Central Office together with one copy of the legal papers, the Return Copy. The Master or Deputy Master of the High Court will then assess that service was effected in the terms stipulated and if so will then certify that service has been carried out in conformance with the Hague Convention in respect of service of documents in Civil Matters. Solicitors Dublin then return the Certificate of Service by Fedex or DHL to the client in the United States and is it this certificate that will be your proof of service when you go back into Federal Court in the U.S.
Should you need any assistance with any of this procedure or if you have any queries or need service carried out in Ireland do not hesitate to use the contact form on this site or call and we will revert within 12 hours guaranteed. The free legal aid scheme in Ireland for criminal cases provides for legal representation for accused persons who cannot afford legal representation. There are a number of conditions to be met before you will be able to access legal aid from the scheme. 2. It is essential in the interests of justice, because of the seriousness of the charge or circumstances of the alleged crime, that the accused person be legally represented. This will often see the Judge enquiring from the prosecuting Garda whether the accused is “at risk” of a custodial sentence. If not then the Judge may refuse an application for legal aid. However a recent Supreme Court decision has cast some doubt on a rigid adherence to this criterion.. This Supreme Court decision of July, 2011, in the case of David Joyce (appellant) and Judge Patrick Brady and the Director of Public Prosecutions (respondents), is an interesting one as it appears to consider that the well accepted criterion of considering whether the accused person is “at risk” of a custodial sentence falls short of the constitutional guarantee in Article 38 of a “trial in due course of law” and the accused’s right to fair procedures guaranteed by Article 40.3. The appellant in this case was charged with theft of goods to the value of €284.45 (section 4 Criminal Justice (Theft and Fraud Offences) Act2001 from a Spar shop in Portmarnock. This offence was to be prosecuted summarily by the DPP in the District Court according to the Garda Sergeant when the case first came before Swords District Court on 4th October, 2005. However the Judge had not yet determined that the offence was a minor offence and Mr. Joyce was not advised of his right to be tried by jury, his right of election, nor had he objected to a summary trial. Mr. Joyce’s solicitor applied for a legal aid certificate but Judge Brady adjourned his decision in respect of this application pending receipt of a statement of means. Mr.Joyce’s means were not such as to be able to afford legal representation and had no previous convictions. On the next occasion before the District Court no statement of means was furnished and the Judge did not decide on the application for a legal aid certificate. However Mr. Joyce was given a copy of the CCTV footage and the witness statement which would indicate that this case was being treated as one of the more serious or complex cases referred to in State (Healy) v Donoghue I.R. case. (In State (Healy) v Donoghue  I.R. O’Higgins C.J. stated that “many very minor cases may not require that statements be furnished”. The case came before the District Court next in November, 2005 and Mr. Joyce’s solicitor and counsel, acting pro bono still, raised the problem that they had in relation to viewing the CCTV footage on a standard video player and the issue of legal aid. At this point the Judge asked the Court presenter whether Mr. Joyce was “at risk” with the Judge clarifying for Mr. Joyce that what he meant by this question was whether he was at risk of a custodial sentence. The Garda replied in the negative. The Judge then considered the application for legal aid over lunch and refused the application having heard the facts of the case. Judge Brady said he had considered State (Healy) v Donoghue  and decided that this case was a minor one and there was no risk of a custodial sentence. However he did say that if there was an intervening offence which changed the risk of a custodial sentence then a fresh application for legal aid should be brought on behalf of Mr. Joyce. Judicial review proceedings were then commenced seeking a certiorari order quashing the District Court Judge’s decision. The High Court noted that Mr. Joyce’s right to election for a trial by jury was not dealt with in the District Court. The High Court then remitted the case back to the District Court to renew the application for legal aid and to allow his legal team to argue that the omission of Mr. Joyce’s right to election was an “exceptional circumstance” justifying the grant of legal aid. This decision of the High Court was then appealed to the Supreme Court which decided that applying the rule of thumb as to whether the applicant was “at risk” of a custodial sentence in making it’s decision was too restrictive and in error. 5. and many other issues surrounding the facts of the case. “The factors in this case which appear to have led to the conclusion that the accused was not “at risk” and therefore told against the application for legal aid – the absence of previous convictions and the accused’s lack of familiarity with a courtroom – were factors which in my view should have led to the opposite conclusion. The impact on a young man of a first conviction for a crime of dishonesty is considerable. His ability to defend himself effectively was doubtful to put it at its lowest. Having regard to what was involved, I consider that the facts of this case satisfied the statutory test when taken alone. This charge was of sufficient gravity to merit the grant of legal aid. Should you be charged with a criminal offence you should contact a solicitor. 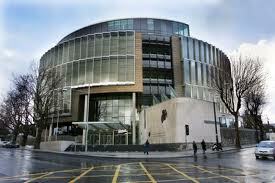 We at solicitors Dublin are on the legal aid panel for criminal matters in Dublin.